This is a revamped launch for Tesco to refresh formulas at an affordable price tag. The original BD range launched in 1998 and was created by make-up artist Barbara Daly who is probably most well known for being Princess Diana’s make-up artist on her wedding day. Abby Ireland has worked with Tesco to develop this new up-to-date range. Abby has worked with premium brands and top make-up artists during her international career. The products I have in this range have been manufactured in either Italy or Switzerland. I was not able to look at this range instore as my local branch doesn’t stock it. Note that as these were sent to me for review the colours and shades would not necessarily be what I would choose for myself. This primer felt soft and silky on the skin and gave good adherence to the foundation. Packaged in a glass bottle with an efficient pump that distributed just the right amount. My biggest issue with this product is that it is heavily fragranced and so is not a product I would personally use. This tinted moisturiser gave a comfortable sheer finish that would be perfect for a weekend or a skin that needs little coverage. Again packaging was good with a pump-style tube. This highlighter comes in a pump applicator which is easy to use. I really liked this cream-style product and applied sparingly it looked very flattering. For a more subtle sheen I would apply to the cheek bone areas under foundation. Gives a pink gold-toned healthy sheen with soft shimmer and no large glitter particles. A winner for me as often lower cost brand highlighter products tend to be really cheap looking. The eyeshadow quad is in a format similar to Chanel eyeshadow with four complimentary colours in one palette. Good colour tones and pigment too. The palette I have is Innocent Chic. 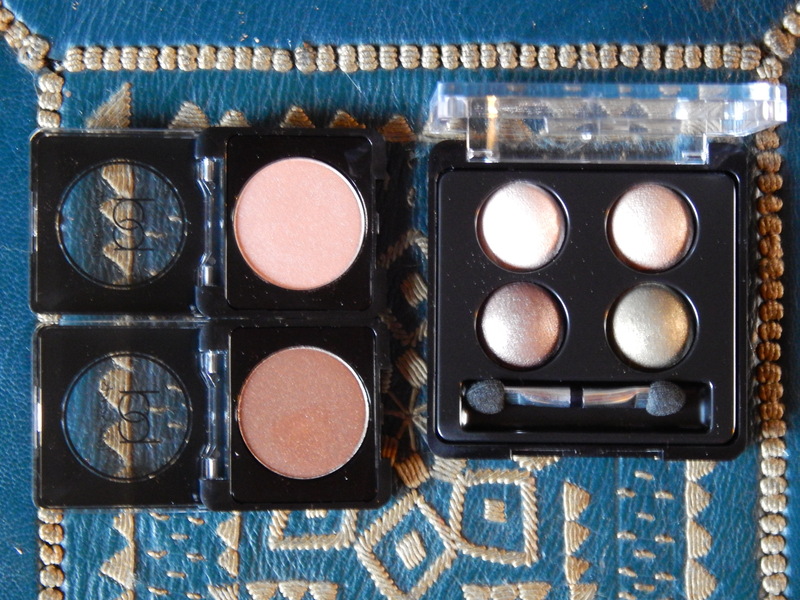 These single eyeshadows are available in six shades. 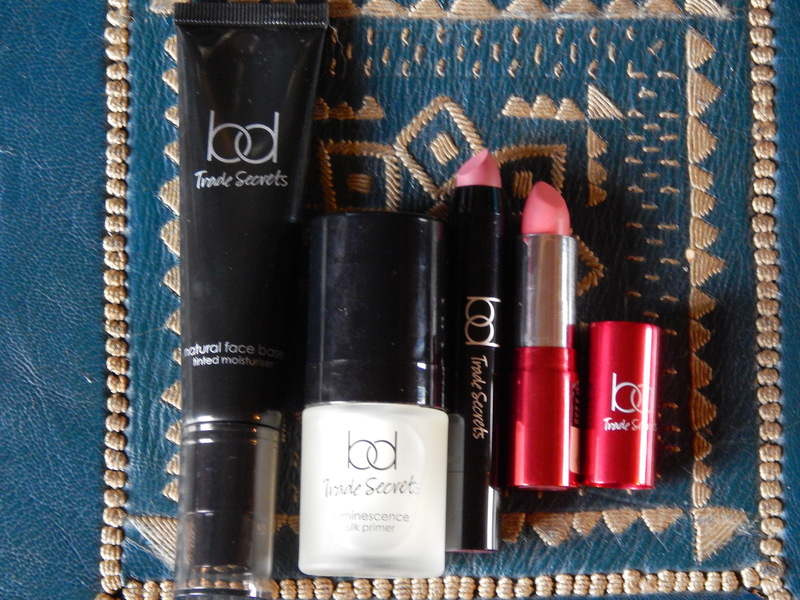 They are a super soft texture and again with a good colour pay-off. On looking at labels all of these eyeshadows are made in Italy which goes a long way in explaining the great textures and quality. These lipsticks are coming up as the stars of the show in the products that I tested. The texture is creamy, comfortable to wear and the colour tones are good. I especially love the metallic metal packaging with the reassuring click of the lid going on. Nothing worse than the lid coming off your lipstick in your bag. The shade I have is Designer and will certainly remain in my own make-up bag. Available in 10 shades. This chunky pencil is available in four shades. Normally I favour a matte lip however this pencil doesn’t give as much pay-off as the Velvet Cream Lipstick. I have found the finish sheerer and the shade that I have – Sensual – is a little blue for my liking. My definite heroes in this range are the Eyeshadow Bonbons and the Velvet Cream Lipstick both of which I will be checking out in some different shades.